"Best brownies I've ever had!" 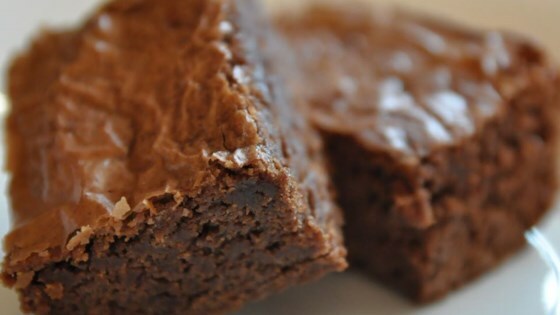 These chocolate brownies from scratch are easy, moist, and delicious. I doubled the recipe and used a glass 9" x 13" pan and they came out great! Really moist and fudgy, with a crisp top layer, these were easy to make and fabulous the next day. I think I will abandon my old tried and true one I've been making for years.